Every year, the NANBF Natural Iowa supports a charitable organization that is doing good to the community and promoting active and healthy lifestyles. We are once again proud and excited to be supporting Courage League Sports this year! Courage League Sports is a non-profit adaptive sports and recreational facility that offers year-round programming for children and adults who aren’t able to go full speed due to a physical, cognitive or emotional disability. By adapting the pace, equipment, or nature of an activity, Courage League can provide a safe and accessible environment where participants can go at their own speed. Courage League also has a special place in the hearts of promoters Ryan and Mandee Irwin, as their son has autism and has benefited directly from the many years of programming to help him develop in a number of ways. This is physically, but also socially and cognitively as well. Courage League sports has made a substantial impact on many people’s lives. They offer programming from ages 2 through adults with a variety of options! They have locations in Urbandale, Ankeny and Indianola. 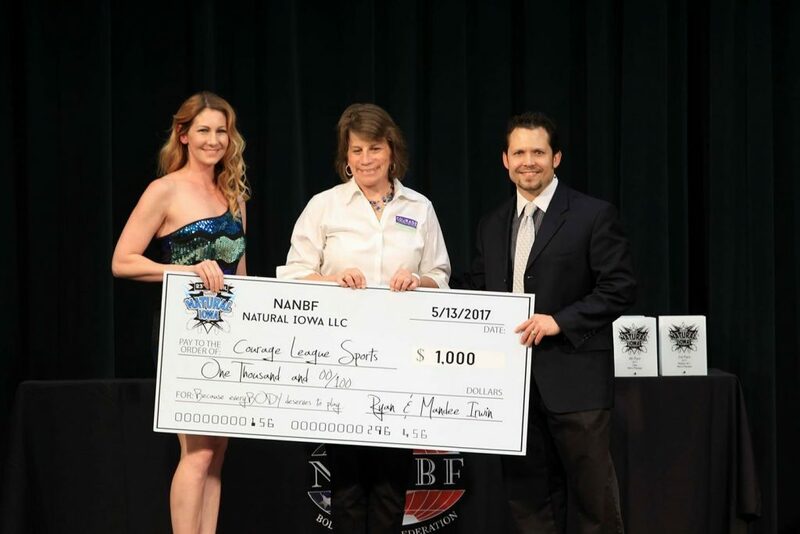 By supporting the NANBF Natural Iowa, you are helping us support Courage League Sports! Thank you for attending this years event and please join us in helping Courage League Sports make an impact on many more lives!